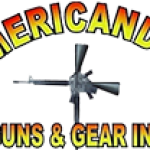 We sell pistols, rifles and ammo. You’re welcome. Thank you for joining Gun Networking. What amazes me is how people seem to just eat up anything he says.